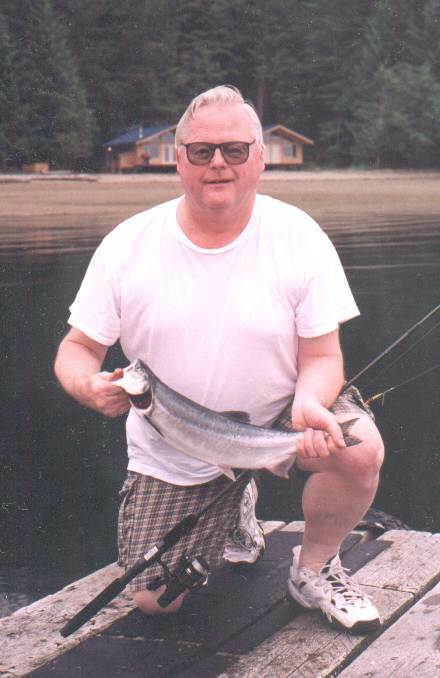 This 4 lb pink salmon was caught with a light trout tackle and rod . This is the view from the deck of the house. The house can be seen behind me in the picture above. Please, click on the small version for an enlarged picture. Click on the thumbnail please and see a 360 degree view of a castle photographed by myself in the Hungarian country side about 120 miles from Budapest. It was built in 685 and destroyed sometimes around 1600 AD with the rest of the castles in Hungary. "The Hungarian defeat (1526) at Mohacs prepared the way for the capture (1541) of Buda and the absorption of the major part of Hungary by the Ottoman Empire for over 150 years." This page was last updated on 02/20/01.